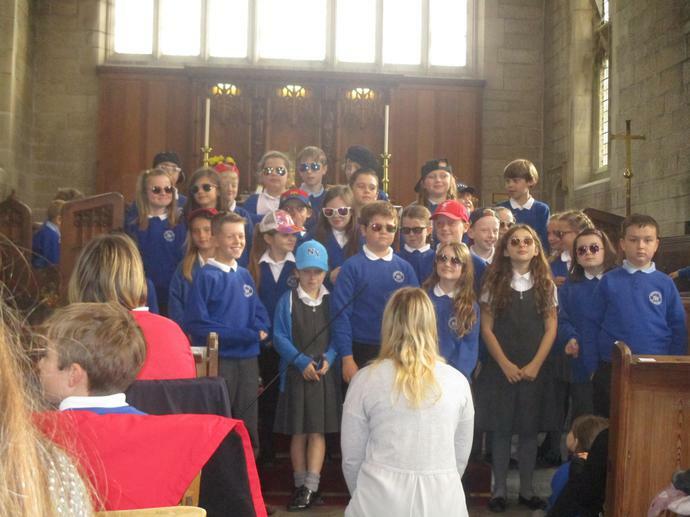 We held a lovely Harvest Festival today at St Mary's Church Northop Hall. 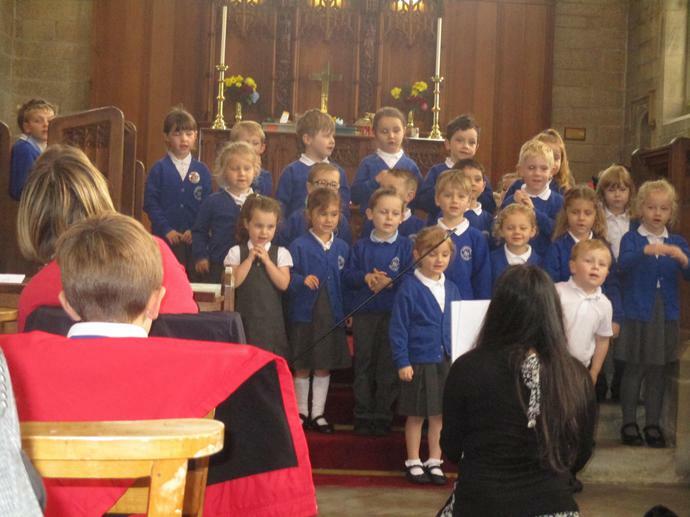 The pupils and staff worked hard to put together recitals, prayers and songs all linked to the theme of Harvest. 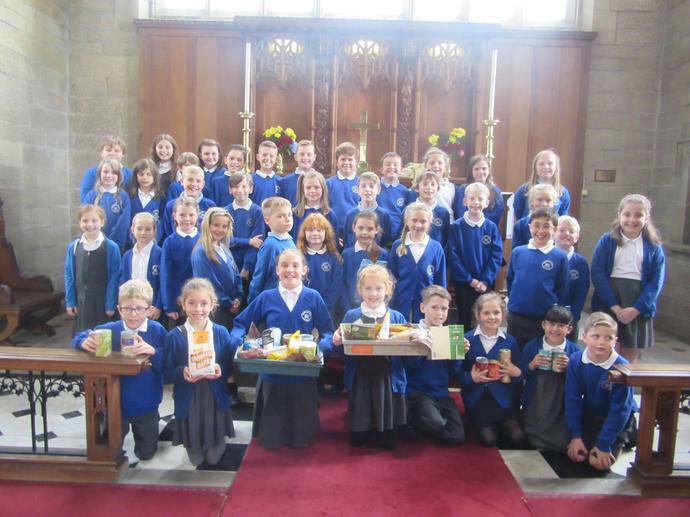 In the afternoon members of the school council delivered harvest food parcels to elderly members of the village. 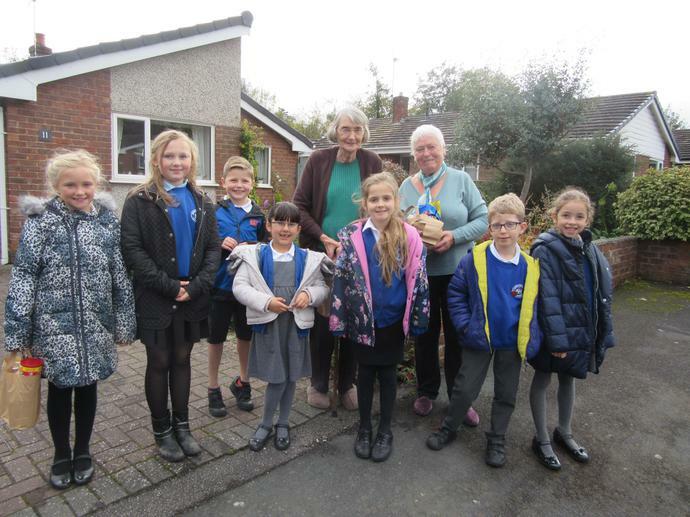 These local residents were delighted with their gifts and also enjoyed chatting to our polite, sociable pupils. Thank you very much to everyone who brought in an item of food today. Happy Harvest! !